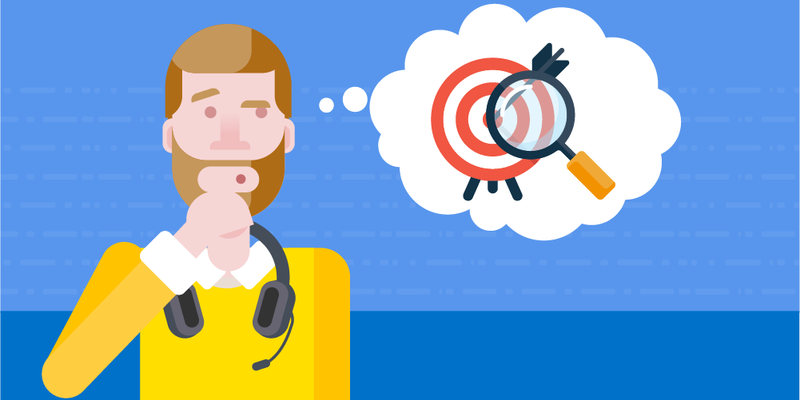 Do you have the right service level goal in your contact center? What is your contact center service level goal? Odds are, some or all of the groups are at either 80/20, 70/30 or some combination of those. They are extremely common. Do you use average speed of answer (ASA)? If so, is it 20 seconds or 30 seconds? Those are by far the most utilized ASAs. But what do these actually mean and how do you know if you have the right measure? If you understand how these metrics impact key business metrics, you can find opportunities to generate a conversation around how you should measure customer accessibility. First, we should define these measures because while the targets are pretty common, there are often differences in how they are calculated from company to company. This is the % of calls answered within a certain threshold. So 80/20 is 80% of calls answered in 20 seconds. Average speed of answer also called ASA is simply the average time to answer of all calls. 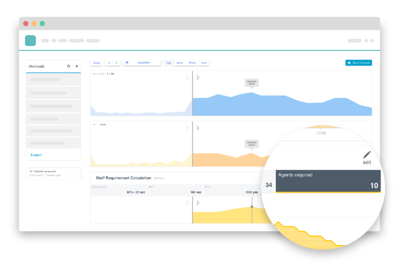 These metrics are set up in your call routing system and tracked and reported from that source. They are also settings in your workforce management system to drive staffing levels. Anytime you see the word refined in a measure, it means some data is being excluded. In a service level calculation, it may mean that calls that abandon before the threshold aren’t included. If your threshold is 80% in 20 seconds, this may exclude calls that didn’t actually wait 20 seconds. The rationale is that you shouldn’t be penalized if a caller doesn’t give you enough time to answer. You may also see “Refined Abandoned Rate”. In this case, they may exclude callers that abandoned within 5 seconds. This is done when you assume that calls that abandon quickly dialed the wrong number. Good to know is that a WFM software can improve your service level. Most organizations use calls handled as the denominator, so the formula is the % of calls answered within 20 seconds divided by the number of calls handled. This means it excludes abandon calls. Often abandon will be tracked separately against a target, so having it in the service level calculation ends up being a double impact on the metrics. It's the primary metric. This is common in sales or revenue-generating contact centers. The reason they use this is that the objective of the contact center is to get to as many calls as possible. Each call that abandons is potential lost revenue. Customer service isn’t a key driver, so the wait time is less important than the customer actually getting through. This is a very challenging metric to plan for in workforce management. You generally have to establish a relationship between abandon and service level, and set your workforce management system to the equivalent service level. Motivated staff have an impact on your service level too. If your agents adhere to their schedule, it is easier to achieve your targets. Use simple tips from psychology to ensure schedule adherence without having to spend a fortune. One of the gaps with using service level as a metric is that it doesn’t really care for the 20% that isn’t answered within the threshold (for the 80/20 metric). One way to help make sure you don’t have extremely long wait times for that group is to have a secondary target for service levels. An example of this is to staff to an 80/20 primary and a 99/300 as a secondary metric. This means you’ll work to hit your 80/20, but ensure that only 1% of the calls is waiting more than 5 minutes. ebook on "How to successfully achieve service level"
click here for free instant download. What is the best metric for you to use? To figure this out, you need to start with the objective of your contact center. What are the goals for the center and the operations? In many, it’s customer satisfaction. If that’s your primary objective, then a great place to take this is to look at how your customer satisfaction scores correlate with your historical service level goals. What is the service level you generally achieve when you’re hitting your customer satisfaction (CSAT) targets? If you can, take the data for all calls answered within certain thresholds (e.g. 30, 60, 90 seconds) and see how CSAT trends as the wait time goes up. In some cases you’ll see a very clear correlation. If you don’t, then it means your service level may not be a big driver of CSAT. In that case, it may be worthwhile trying out a less expensive service level target to save some money, since you may not be getting any real benefit to having a stricter service level. Test it out by moving from 80/20 to 70/30 and see what metrics change. If you don’t see any deterioration in any key business metrics, you may be able to just make the change and reduce the cost of operating your center. Too many contact centers just use the same service level target year after year. It has a huge impact on staffing costs. You should know what you’re getting for that spend. 80/20 may be the right measure for you, but if there’s never been any analysis done on it, you could very well be overspending to hit that target. While your leadership may not be asking you to look at this, it’s a great way to proactively look at getting the right target. It will show your operations team how workforce management can add even more value to the business by providing these insights.